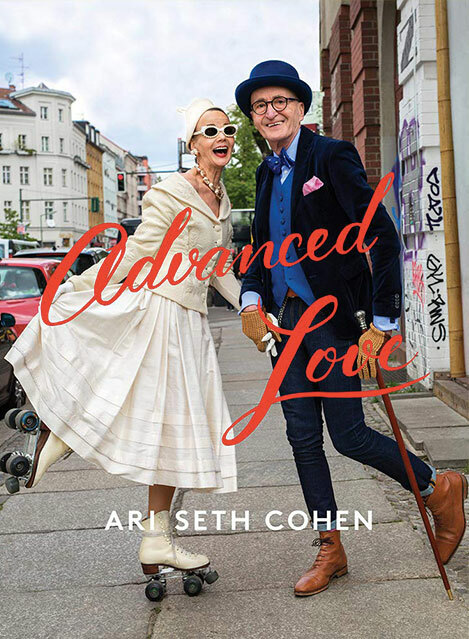 With just a week to go before Ari heads “across the pond” to London to set up the in-store Advanced Style project at Selfridge’s, we’re doing anything we can to endure the heat and humidity while meeting folks with Advanced Style on the streets of New York City. Just a few days ago I joked about leaving the house in nothing but a swimsuit, then it occurred to me that perhaps I should be consulting the woman I most admire, the incredible Jenny. She carries herself in such a way that she could be wearing a paper bag and make it feel appropriate just because it’s paired with the right shoe and scarf around her hair. 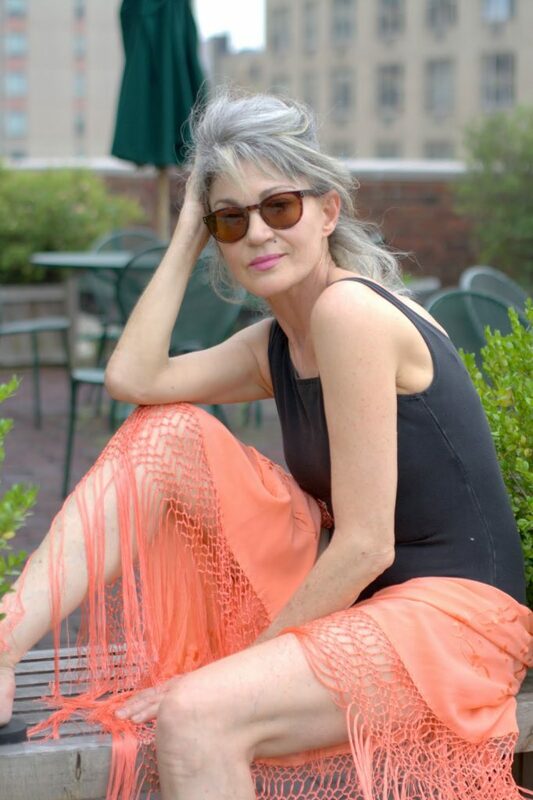 Today we decided to make an impromptu visit with Jenny to take some snapshots of her relaxing on her rooftop in her favorite swimsuit and silk sarong. She’s been wearing this same suit for decades and swears by it’s simple and durable design. She also wears it to swim laps in the pool, which we at Advanced Style ENCOURAGE… it’s excellent exercise and will help you feel great! For many city people we often hop on the train or get in the car and go to the nearest beach when it gets to be too much. How do you pack a bag for the beach? Of course the other givens: sunscreen, iphone, and great reading material!